A humans eyes tell a lot about who they are. Predestined to tell a story of a karmic journey, it is not by chance or coincidence are the eyes we receive in this incarnation. Eyes are the first thing I see when I gaze at you. Your first glance at me fills my Soul with information, a unique download of particulars like the click of a camera’s lens when it captures a reflection. On the surface of every human is an Ego that must uphold a doctrine. In the grip of your mind is a set of beliefs it holds tightly about who you must think you are. But there is no escaping the genuine and authentic narrative your eyes are whispering silently to those who truly see you. Indigo eyes are full of wisdom and deep inner knowing. Their eyes are bright and strong, yet calming. Indigos’ eyes speak of an energy that shifts, changes and transforms with each of their intuitive perceptions. Indigos have a warrior Spirit because their collective purpose is to mash down old systems that no longer are of use. A Crystal person eyes lock on and hypnotize you with their all forgiving Souls. Their eyes are large, penetrating and wise beyond years. Blissful and even-tempered are the Crystals aura’s and with eyes that are prismatic, opaline and pearlescent there is no mistaking who they are. Our eyes express our pain, our sorrow and our deep inner feelings, there is nowhere for our eyes to hide. We might try rigidly to keep out of sight, conceal and camouflage what we so desperately want to express but instead, we hold onto our emotions, dreams and wishes and store it all in our eyes. But in any human existence there are times we grant our Self-feelings of great joy, exhilaration and enthusiasm, our eyes shine when we are happy, they smile with ease when we are filled with love. 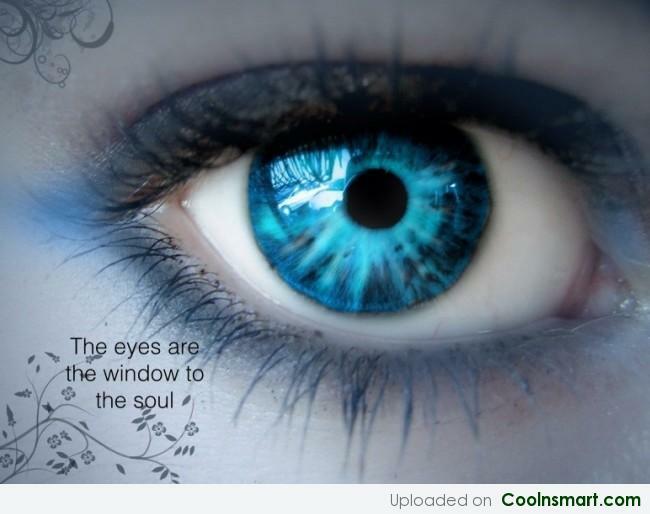 If our eyes are the window to our Soul then it would be our work to keep them clean and open so the wind of life can blow gently and harmoniously on our Spirit. Keep your eyes open to the Universes loving guidance, synchronicity is happening all around you to assist you on your way.